I make my artwork because of the fact that art is so fun and amazing. Art blanks my mind and my mind is only set on the art that is being worked on. I put a lot of effort and passion towards my art once I know that it will be an art piece that I would like to look back at over the years. 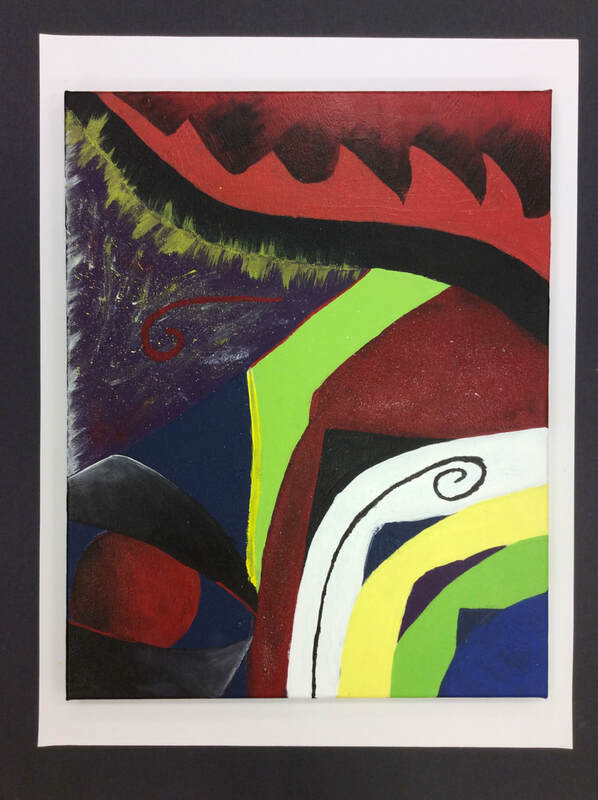 I made most of my art in Art class , mostly because I have a good amount of time to get Art done. My preference is graphite because i've always been drawing with pencil since a little kid. Art class has shown me and helped me achieve and get better with my graphite skills , like shading and radiation. My art means a lot to me , because of the time and thinking i've put in into my art. I put a lot of thinking when I am planning on an art piece, because I mean for it to look great. My most successful project this semester was the "Los Gatos Falls" because I spent a good amount of time with this project and I think it came out great. 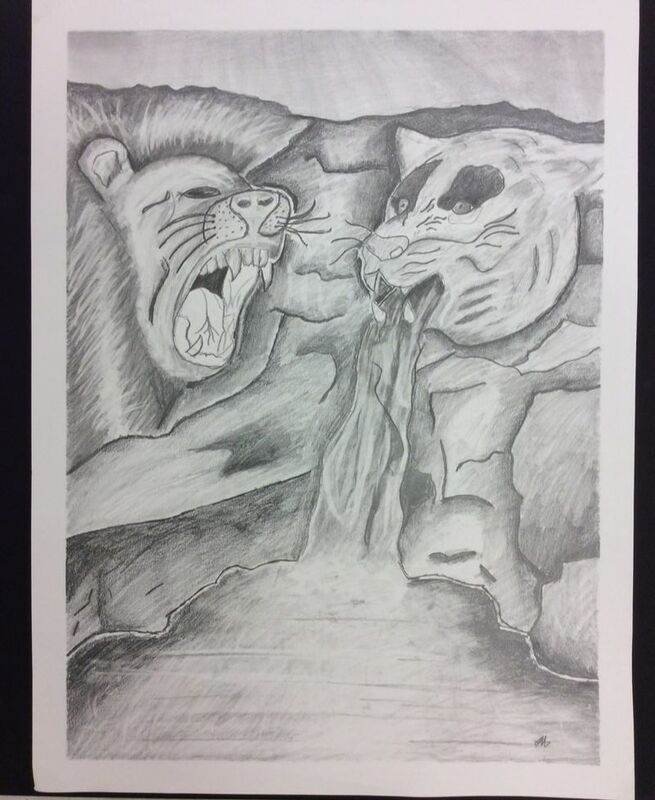 This project was a mountain with a waterfall in between a lion and a tiger , that is the reasoning for this project, it was made with graphite. A project where I overcame an obstacle was the "Landscape Painting" project because it was my first time working with different brushes and paints. I never worked with different brushes or paints so I wasn't used to the different medias that were available , I tried my best with using different brushes and the final art piece came out looking great in my opinion , although there was more that could've been done. I enjoyed working with the media "Graphite" this semester. There is so many things you can do with graphite to make your art pop out and look amazing. This is probably one of the basic medias but it looks so great once you've had practice with it and know the basics of it. 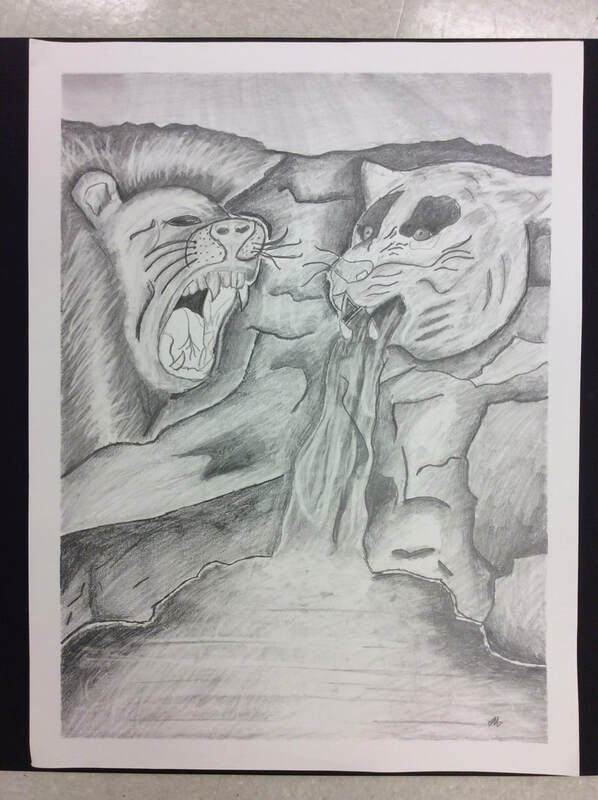 An example of a project with graphite was the "Los Gatos Fall's"
The picture above was moy most successful print . This print was actually the only print I was able to do because I was not here the other days. This print was successful because of its different shapes and figures. If i could , I would change the buttons . It would be better If they were removed because the buttons made It hard to print through the" Printing press". Another thing I would change would be adding too many figures or objects. 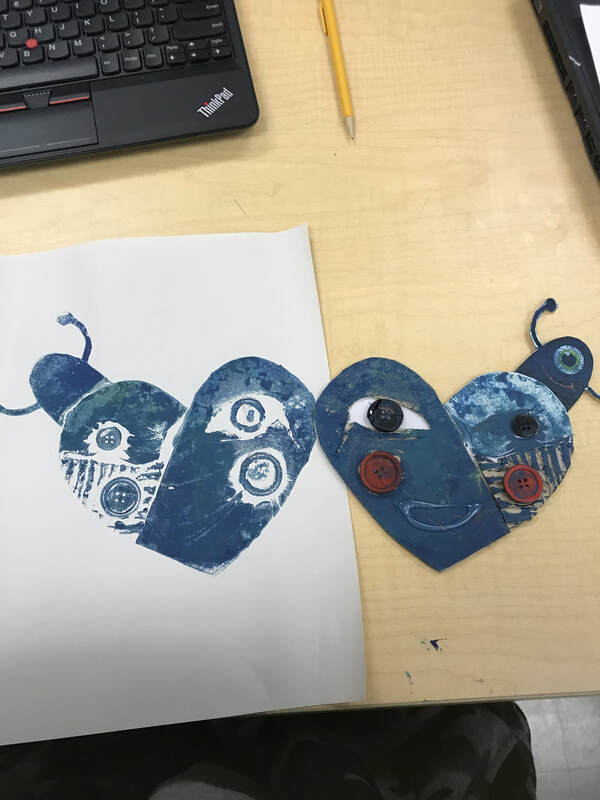 I enjoyed working on the "Collagraph" printing technique. I enjoyed this technique because this technique allows you to add whatever you feel or want to add to your print. There are many options that you can choose from when working when collagraph so It makes It a fun experience. While working on this project, I developed many skills. 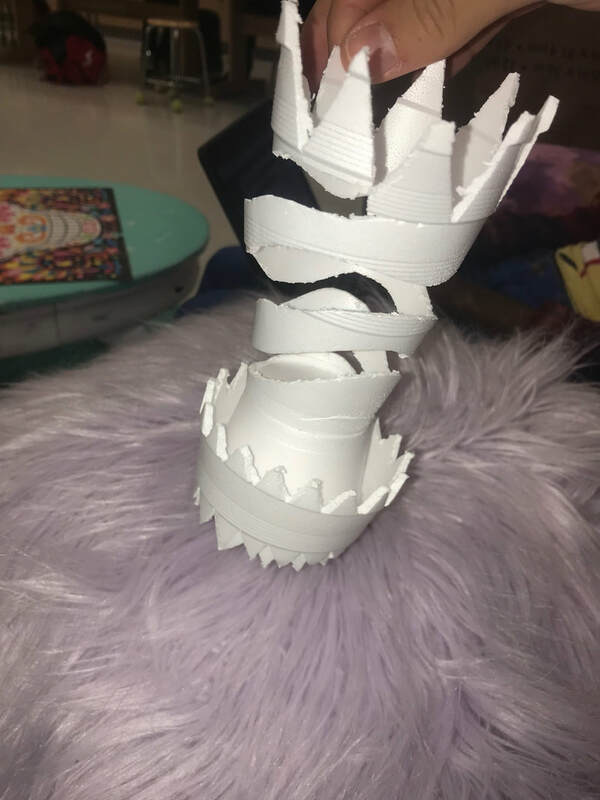 A new skill I developed was using Plaster , this was my first time ever using Plaster and I think this was a success. My inspiration for this piece was many pictures i seen on Pintrest, and i decided to do a hand. I used Youtube videos to help me create the form of my hand. When the plaster was finally dry, I realized that it was going to be hard to remove the hand shaped Plaster from my hand , but I improvised and cut through the Plaster, to remove it from my hand. At the end , I spray painted the base for the "hand" Red, painted the Plaster made hand Black, added a couple swirl line designs with Red and White paint, and splattered White and Red paint. To give it a good shiny look , I Varnished the finished piece. For this 3-D creation , I used two Styrofoam cups , and design the Styrofoam cups with an exacto knife. This project didn't take a while , I RESTARTED 2 different times on the project because I did not like my design. Over-all this project was a good learning experience due to the fact that i kind of learned on how to work with Styrofoam. My artwork is inspired by The "Mountain Rushmore" with the idea of faces carved in the mountain. I replaced the faces of the presidents for a face of a Lion and a Tiger. I called this piece of artwork "Los Gatos Fall's" because "Gatos" mean Cats in Spanish. The type of media I used was graphite. Different graphite pencils were very useful for the shading of the drawing , which made it pop-out more. The Lion & The Tiger are both roaring , while the waterfall is falling out of the Tiger's mouth, I used this design to symbolize Nature. My goals as an artist are to use and understand the different medias , to create a beautiful artwork. This artwork will be a great help because I only used graphite and I feel like I am very good now , using the graphite media. Over-all , I loved how this artwork worked out, all the shadows and contrast really made the picture pop. 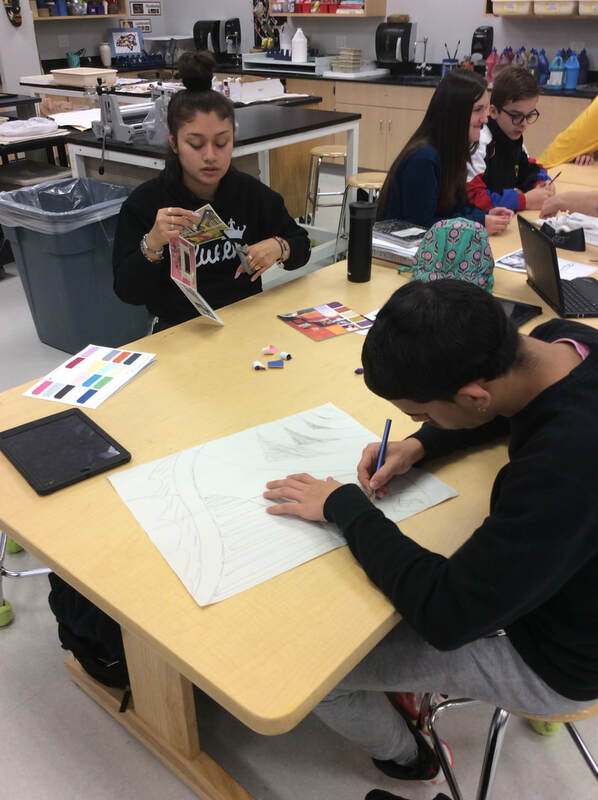 "Life" Artist Create Original Art. My artwork describes a dark place and a peaceful place, and in between it there is a heart describing life. The subject matter for this artwork is that there is always something beautiful between every positive and negative situation. The dark, torn-up wings on the left describe darkness while the wings on the right describe peace. The heart and the rose describe beauty and life. 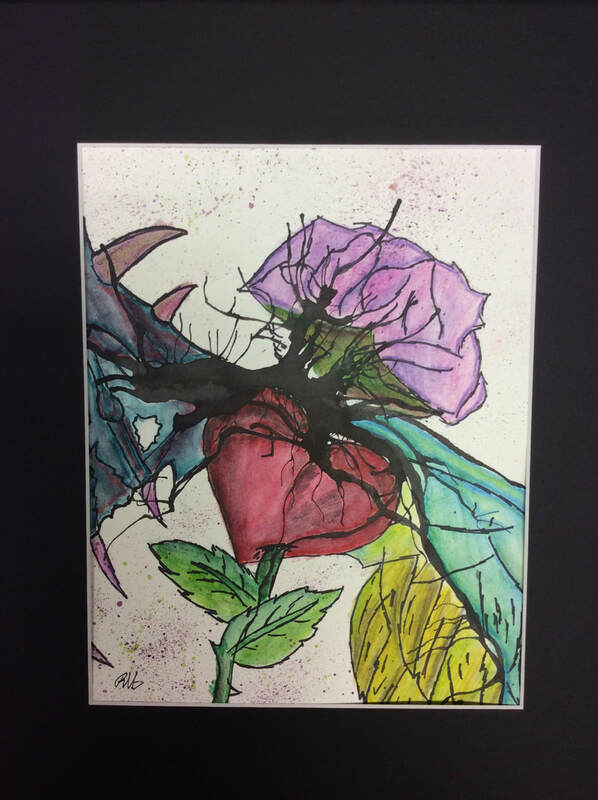 This art was created with ink splat, water colors and black sharpies. I first observed the ink splat that was created, and figured that it had a heart shape, so from there I started my art. This art-work definitely helped my overall learning and thinking of a Artist and I absolutely love it. 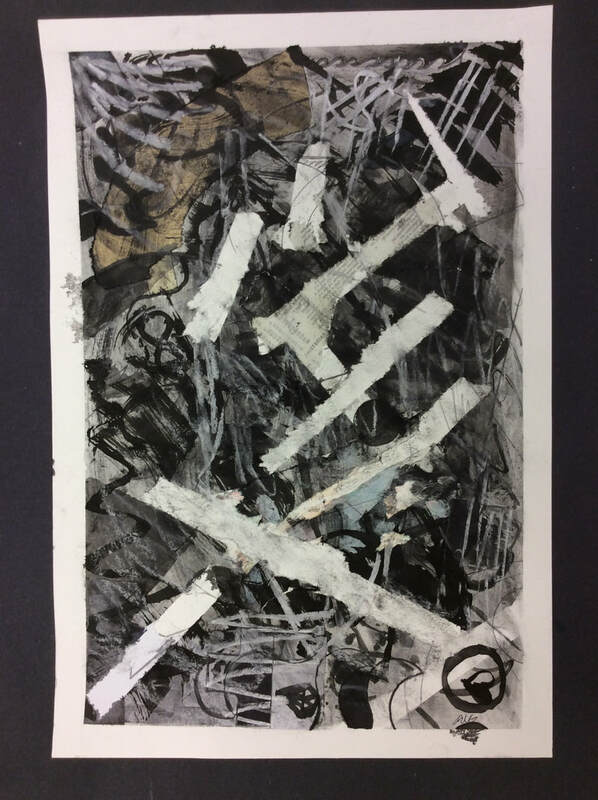 My art work has a dark / grey-ish theme. My subject matter are different shapes, values and lines. I call this art piece the “Shadows”.I used lots of meadia’s to create this art piece, the one I used the most was charcoal and ink. My artwork was mostly free-flowing. I used different shapes and lines. This artwork has a lot of dark colors to it ,so by adding a few white lines and scribbles, gave my artwork more light. My goals for this artwork was for it to have a random and free-flowing feeling. When I arrived at the point where I thought I was finished , I liked it a lot, simply because it has different shapes , patterns and lines. My overall thought of this artwork was that I could've done better, by adding more patterns. This is one of my first official “Artwork’s” and I am very pleased by it. This piece will definitely influence my artwork because now I have so many options and different elements that I can choose from. I am a athletic , student. I attend Vernon Malone and i am in the 10th grade. I love art and all its beauties.